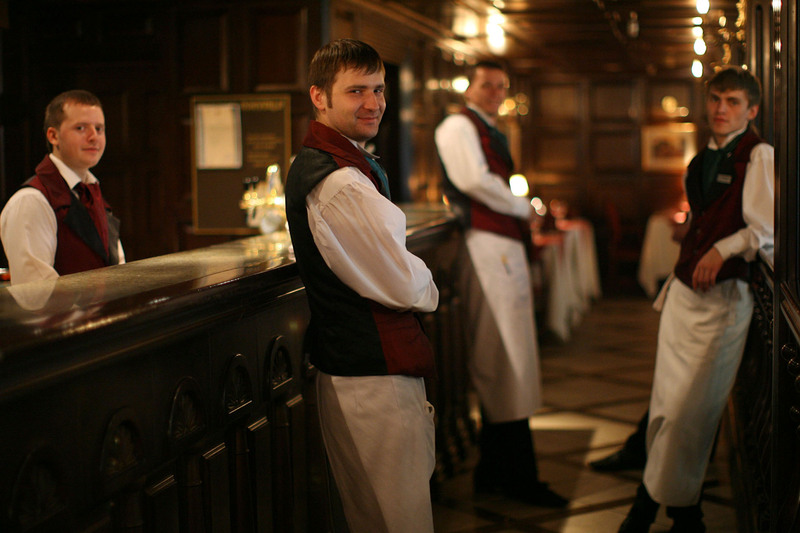 Waiters at Lipsky Osobnyak, an exclusive restaurant located in Kyiv's political center near many of the most important government institutions. The restaurant specializes in fine Ukrainian cuisine and has an extensive wine list. Many of Ukraineâs politicians and business elite dine here.